The finest in vacation living. The Rushes is truly one of the Midwests premiere vacation destinations. 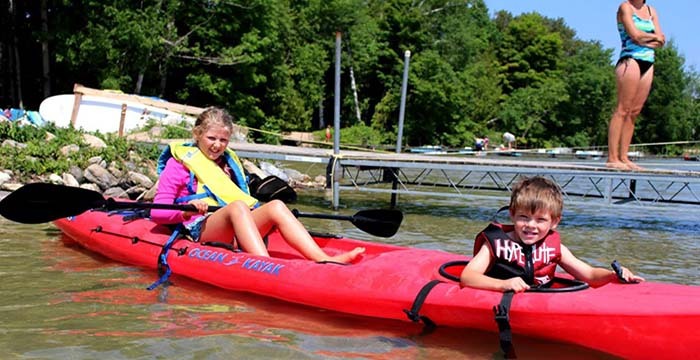 Located on Kangaroo Lake in beautiful Door County, The Rushes is open year round to provide the perfect vacation experience, whether youre looking for family adventure or a romantic getaway. When you stay with us, all of The Rushes facilities are included in our very reasonable prices. Travel Green Certified. Please visit our website for complete rate information. Complete in every detail, each town house features over 1400 square feet of decorator furnished living area, master bedroom with private sun deck, guest bedroom with twin beds, two bathrooms, complete kitchen with dishwasher and microwave, all utensils, linens and supplies; dining room, living room with natural Door County fieldstone fireplace and patio. Three TV’s and a DVD player are in every unit. 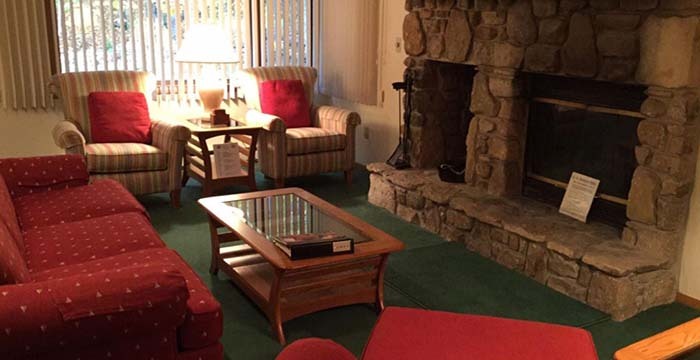 Each unit has complimentary high speed wireless internet access. Whatever your interest, walking, jogging, cross country skiing, tennis, volleyball or a relaxing game of shuffleboard, The Rushes provides the equipment and facilities to meet your needs. Seasonal recreational equipment is available for your use, from cross country skis, boots and poles to bicycles and ice skates. There is also a year round recreation center including indoor pool, whirlpool, steam room, exercise room, and lounge area. 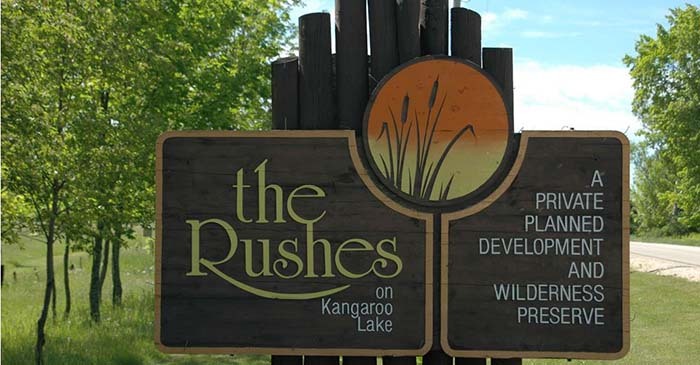 The Rushes offers 2800 feet of sand beach frontage on Kangaroo Lake. 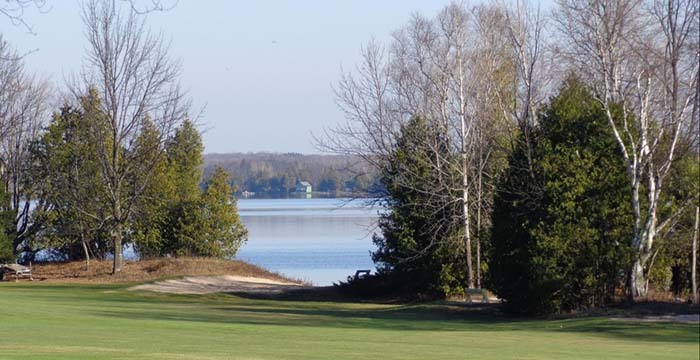 Select cutting and trimming of trees provides views from the condominium units and access to the lake. 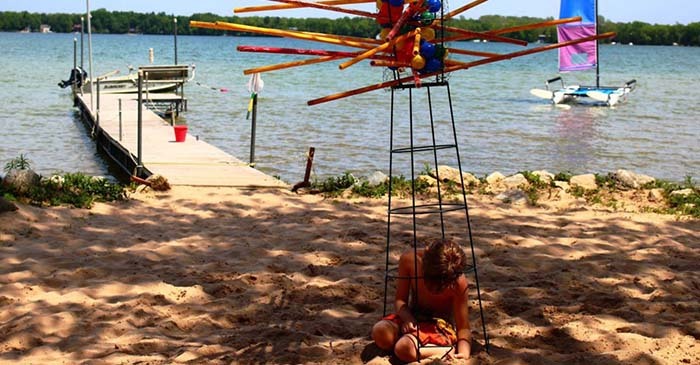 Complimentary waterfront amenities include; sailboats, canoes, kayaks, paddleboats, and fishing boats.